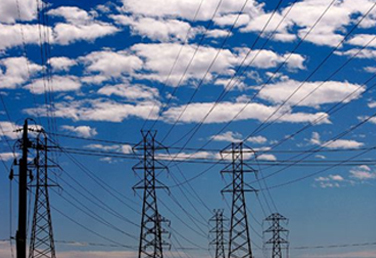 Electric Power Generation, Transmission and Distribution. Electric utilities use SCADA systems to detect current flow and line voltage, to monitor the operation of circuit breakers, and to take sections of the power grid on or offline. Industrial utility providers have a huge responsibility for generating electric power, as well as its transmission and distribution. They have to be able to rely on a system that is going to increase their performance, assist with workplace safety, and allow them to collect critical data for their operational needs. The SCADA system can perform functions such as collecting information about line voltage and current flow. Monitor the performance of circuits located in multiple locations. Dictate when sections of electrical power need to be taken off the grid. These are all critical elements of operating utilities. SCADA allows for increased efficiency along with cost reductions and allows key personnel to make informed decisions based on the data that the system collects and stores. In addition to this, the right SCADA system is ideal for trouble shooting. SCADA can create an alert based on a variety of circumstances that effect product and delivery. When relying on such an important system as this it means that there must be a quick response method in place to handle any SCADA alerts. With today’s modern technology a SCADA system can be enhanced with the use of SCADA Mobile Aware. SCADA software has been designed to take an important application like alert capabilities and make them better. Utilities companies utilize this in conjunction with their proprietary software to scale up their resources. SCADA Aware Mobile software allows key personnel to have an alert mobile response team in place to receive alerts remotely. No matter where the team is or the time of day they can receive an alert through their mobile device. They have the ability to immediately access the data alert and access the issue. Based on the information they are receiving the response team can then act accordingly. The SCADA Mobile Aware software will allow the response team to document their receipt of the alert and action taken to rectify. Being able to use SCADA software technology means response times are increased. This helps to increase the safety in the workplace. A quick response to a potential problem can mean less down time of any of the critical equipment that is used by utilities companies. This means less interruption of not only the power that is being generated but fewer disturbances in productivity and performance.